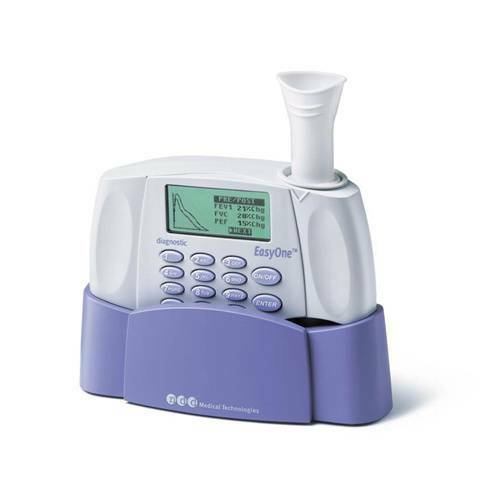 ndd's EasyOne product family is a truly simple and easy-to-use product line that makes lung function testing faster, simpler and more reliable. Includes state-of-the-art software and even larger memory, 8 test storage and many more new features. ndd's TrueFlow technology allows for spirometry without the hassle of cleaning or replacing sensors, calibtration, filters, or tubes. The only consumable necessary is the spirette, designed to produce convenient, reliable results. 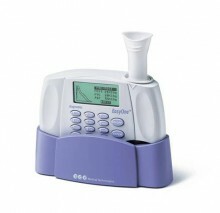 Click the button below to add the ndd EasyOne Plus Diagnostic Spirometry System I to your wish list.